Chaulieu's Epicurean vision, as expressed in his poetry and those of his companions, had a number of standard themes: preference for private life over the public, outward respect for established religion combined with dislike of popular prejudice and superstition, and a stress on "honest pleasures". The appeal to philosophy to bring peace of mind in the face of death was an artistic preoccupation and doubtless, as the good abbé advanced into old age, a personal one too. 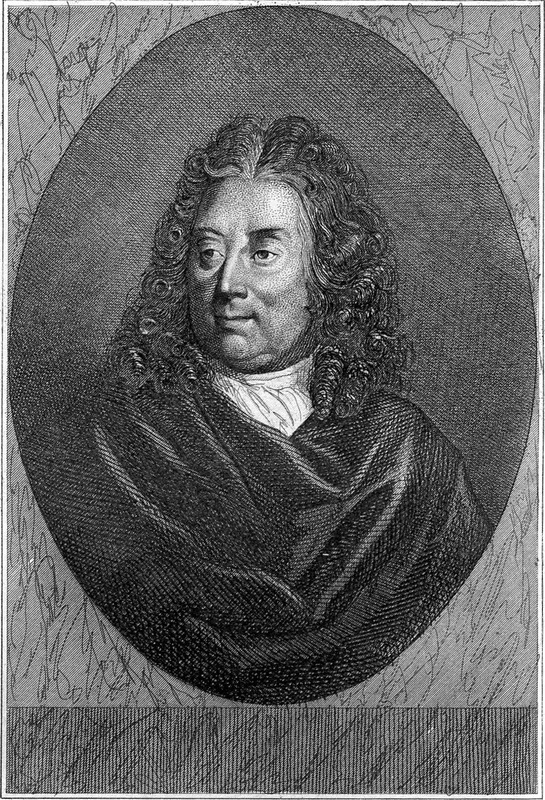 There are three serious set piece poems on "death" from Chaulieu's hand dating between 1695 and 1708, purporting to be written from three different standpoints, the "Christian", Epicurean" and "deist". In the first Chaulieu takes issue with the "Dieu vengeur" of the Jansenists, and defends his belief in a beneficent deity who will not judge too harshly sins which were but "empty pleasures". He is filled with "sweet hope" and expresses his confidence of finding "an assured resting place in the bosom of god". The "Epicurean" verse is less ambiguous in its denial of the afterlife: death brings nothing good or bad and is nothing in itself; the sage accepts with gratitude the gifts of nature, is ready to enjoy life while it lasts and to depart without murmuring when the feast is over: "Death is simply the end of life...a peaceful sleep...the beginning of eternal rest". Amusingly to observers, and possibly with self-interested encouragement from the lady concerned, at eighty the old reprobate embarked upon a gallant flirtation with a woman fifty years his junior, the fille de chambre of the duchesse du Maine, Mademoiselle Delaunay (later Madame de Staal). "It was the first time he had allowed himself to fall for a bourgeoise. Until then his amours had oscillated between high-ranking society ladies and the Opéra dancers. He courted Madame Delaunay with the accumulated charm of long experience, tempered by the philosophical calm of old age. One of the ways in which an elderly man can hope to retain a young woman's regard is by flattery and complete devotion. The abbé spared neither. He sent his coach to his lady-love every day in case she wished to make use of it - he was not offended if she did not go to see him in it, but went off to visit a more sparkling friend; he sent her sweets, he sent her books, he protected her friends." This idyll was cut short by Madamoiselle Delaunay's implication in the conspiracy of Cellamare. She was confined in the Bastille, and by the time she was released, the dying Chaulieu no longer recognised her. "Fortified by the Sacraments of the Church", he finally relinquished his tenacious hold on life at the end of June 1720. The demise of Chaulieu provided his friends with one last amusing anecdote to share. A Benedictine from Saint-Denis had been charged to accompany the corpse to Fontenay, where Chaulieu had requested to be buried, but he had got so drunk en route that he had to be left behind in an inn where the valet de chambre was tasked with fulfilling his mission. "When the news spread that the famous abbé had died, nobody could believe it. He had always enjoyed practical jokes. This must be another one, they thought. And when a lackey woke up the good priest of Fontenay at midnight to say that he had brought a coffin containing the abbé's body, the priest refused to perform the service, and sent the coffin to the cemetery, convinced that when he opened it he would find a log of wood. He got a shock the next day when he discovered the abbé wrapped in his priestly robes and very dead. The story went round the province within a few hours, and the Archbishop of Rouen sent the priest to a seminary for two months by way of punishment until the scandal had subsided. Voltaire sent a verse-letter to the duc de Sully about the demise of the "eternal abbé Chaulieu, who will soon appear before God, and if pleasant and polished verses can save a soul in the other world, he will go straight to Paradise. He was the last remaining representative of a century noted for its courtesy." Most of this is taken from Nina Epton, Love and the French, 1959 p.252-3 - a really nice and all-but forgotten book which I bought for £1.00 at the Bristol "Bookbarn" recently. Nina Epton's sources are probably the biographical preface to Chaulieu's letters and the Memoirs of Madame de Staal. The analysis of Chaulieu's poems comes mostly from J.S.Spink, French free-thought from Gassendi to Voltaire (Athlone Press, 1960). Chaulieu and La Fare's poems are all published in old editions on the internet, but they are hard going (possibly even for a modern French person). The only English available is Longfellow's translation of "A Fontenay".